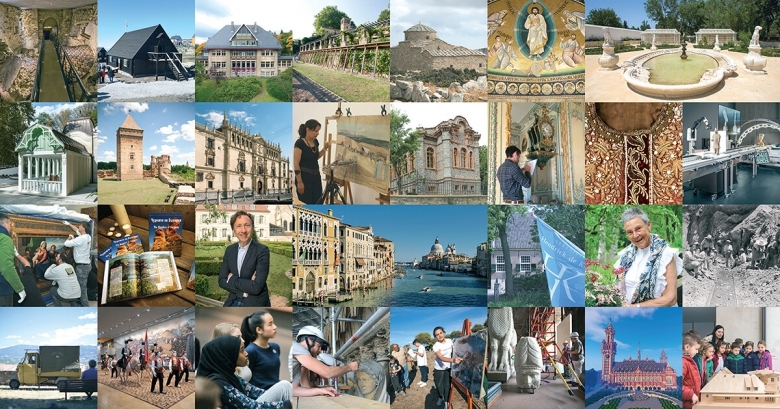 For almost 40 years, Europa Nostra has celebrated and promoted best practices in the heritage field. The Europa Nostra Awards were set up in 1978 to recognise outstanding heritage conservation initiatives. The Awards were presented to some 650 exemplary projects until 2001, giving inspiration across Europe through the power of their example. What had begun as a European NGO’s awards scheme became in 2002 the European Union Prize for Cultural Heritage / Europa Nostra Awards. Launched by the European Commission and run by Europa Nostra, this is Europe’s most prestigious heritage prize. It recognises the best achievements in conservation, research, dedicated service as well as education, training and awareness-raising. Over 400 remarkable accomplishments have already been awarded. Europa Nostra also gives Medals of Honour to individuals who have stood out for their visionary leadership and tireless efforts in promoting the mission and raising the profile of the organisation.